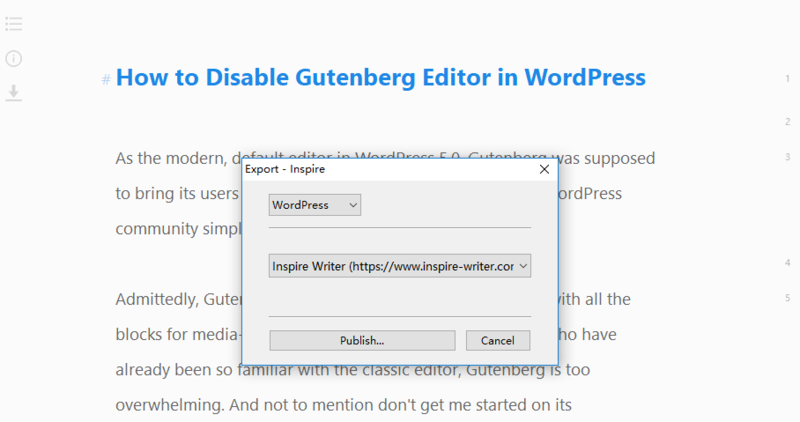 How to Disable Gutenberg Editor in WordPress? As the modern, default editor in WordPress 5.0, Gutenberg was supposed to bring its users terrific writing experience. However, the WordPress community simply isn’t ready for Gutenberg. Admittedly, Gutenberg looks better than the classic editor, with all the blocks for media-rich pages and posts. But for many of us who have already been so familiar with the classic editor, Gutenberg is too overwhelming. And not to mention don’t get me started on its comparability issues with certain themes and plugins. This makes people wonder: can I get the old WordPress editor back? 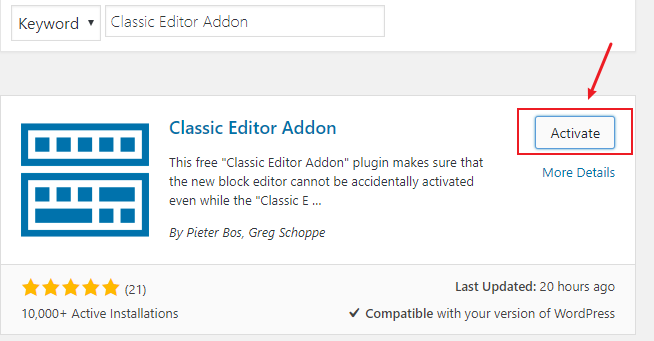 1) Login to your site as administrator, and search for Classic Editor Addon in the Add new Plugin page. Then click Install Now to get it downloaded. 3) Viola! 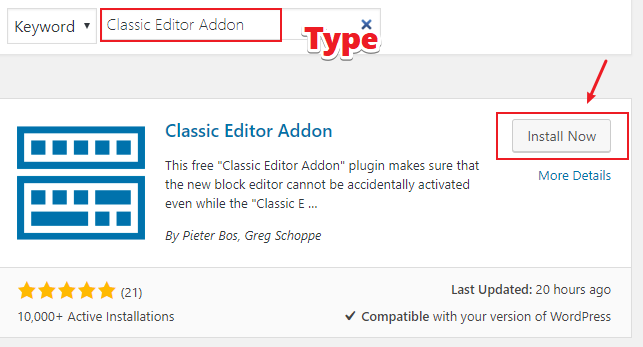 You’ve got your old classic WordPress editor back! Or better yet, why not say goodbye to the not so reliable writing experience online and say hello to the real authentic writing experience? Say, write and publish with Markdown? So you don’t have to decide the font for your content with the mouse, HTML or even CSS. Minimalist Windows markdown editor like Inspire creates a simple, safe, and clean immersive writing environment. But it doesn’t stop there. You can publish your work to your WordPress sites by hitting the publish button on Inspire. If PDF or DOCX are more to your appetite, by all means, export your work to these formats as well. You can also see Inspire as your work folder, where your work will stay forever, until, of course, you erase it. Previous postWhy is distraction-free writing getting popular?